This is an excellent beginners soap making kit. The kit contains glycerine soap base, Frangipani fragrant oil, soap dye and full instructions. Glycerine soaps can be molded into any shape - you can use any plastic container as your mold, or use silicon bakeware or even chocolate molds. Kit makes 5 x 100g soaps or 10 x 50g soaps. 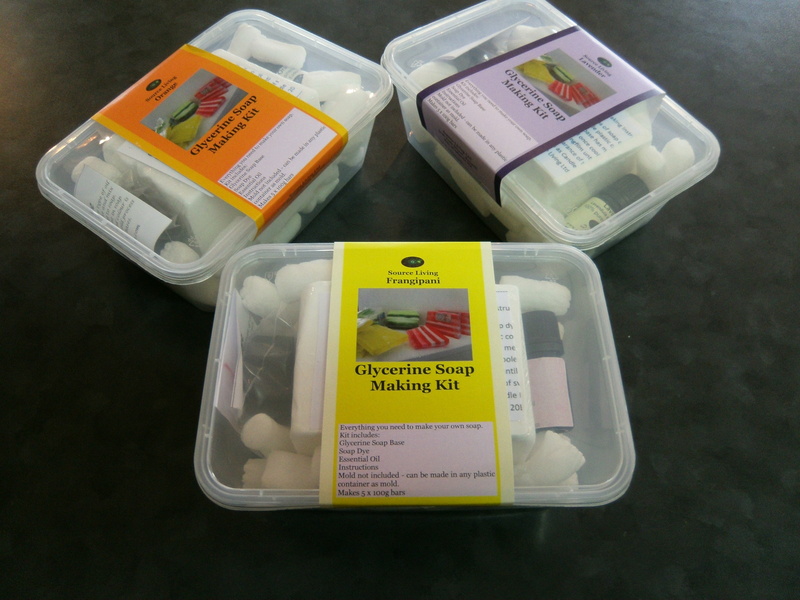 Once you have mastered the soap making kit you will find you can buy the bases separately listed here on our website and add your own signature fragrances or colours. You can also add oatmeal, flower petals or herbs to your soaps.